Meet the Step Sisters Half Pig Squad. 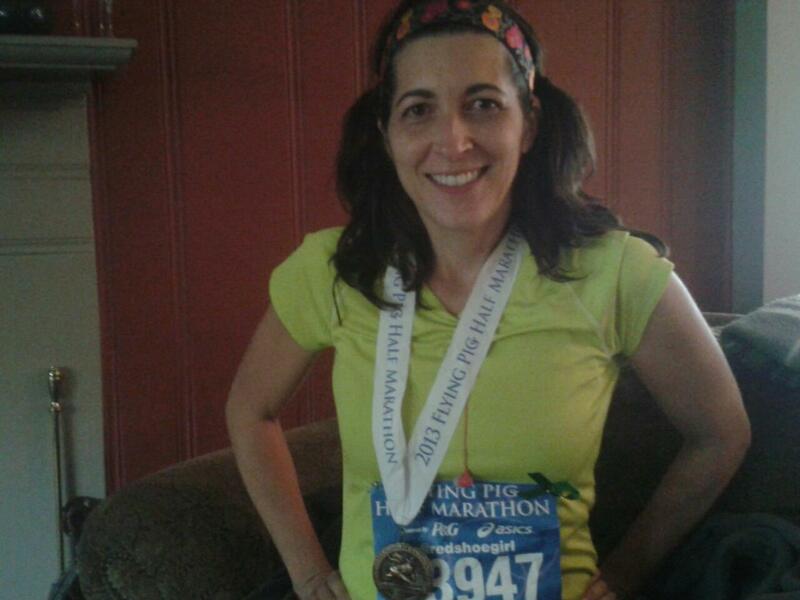 From training to the starting line — an incredible journey! And as big as May 5 was — focus around here is on something bigger. Our annual give cancer the boot night is in three weeks. Yes, once again, Dave has rallied us to take the track for the 12-hour Relay for Life. 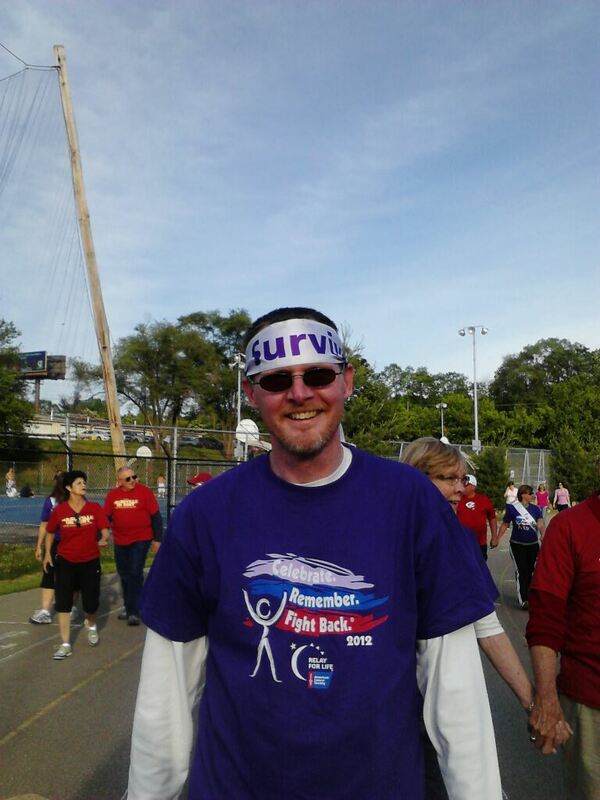 Since planning our first endeavor (just weeks after his treatments ended) Relay has become a very special time for Dave. Note the picture… our fearless leader takes this stuff seriously. It is when he truly celebrates the theme of “more birthdays” and celebrates his own. Dave leading our team out last year. And yes, he is a man with a will to survive! Unfortunately, our team has another purple survivor shirt in its ranks… Bill, Dave’s father, was diagonosed with prostrate cancer earlier this year. We also have more friends and loved ones whom also have been diagnosed and are currently in treatment. I don’t need to tell you what a beast cancer is. We all share in its experience. Perhaps that is why we really like to give it the boot (and, ahem, other things) while we stomp around a track through the night. Relay has so many symbols. Similar to the marathon, it truly is an experience with many moments and many emotions. Beyond making a statement, why do we do it? Why do we drag ourselves, family, friends and the tent out to a high school football stadium and commit to walking through the night? Simply — we do it because we know at that time and at that hour, there are so many around us who can’t. We do it for them. 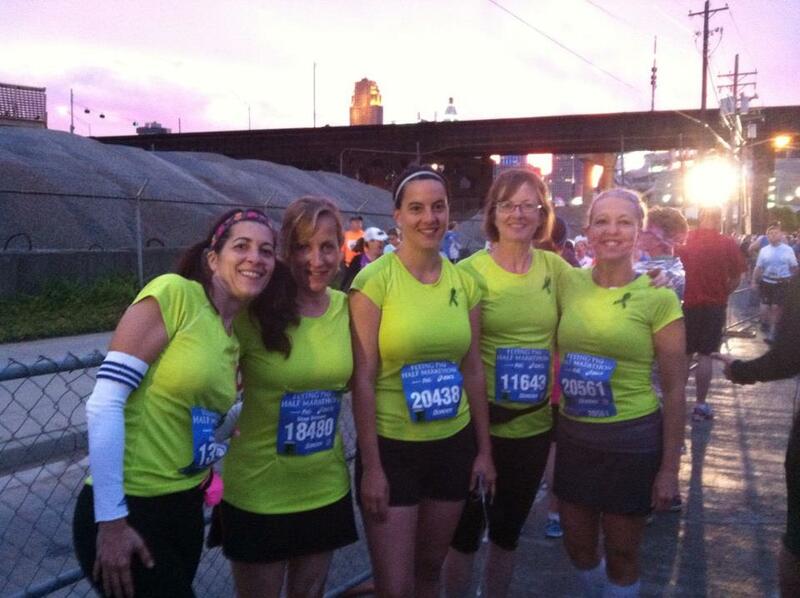 We make the effort to raise funds to aid in treatments, programs and research. We do it so hopefully all of us can have less touches with the cancer beast. 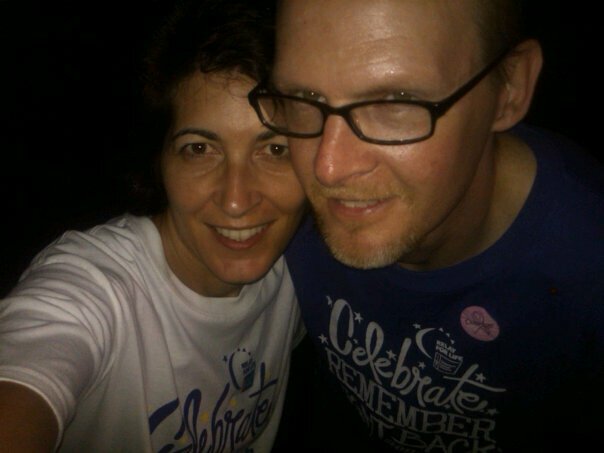 In the 11th hour of Relay 2011. Dave had just finished chemo and radiation.